The Signature Lamp Post by Mayne will endure a lifetime and bring years of enjoyment by adding to your homes exterior beauty. Made from Polyethylene and accommodates hard-wired or solar lamps. 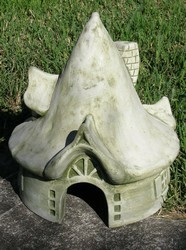 The lamp and wiring materials are not included; concrete is also needed for secure installation. 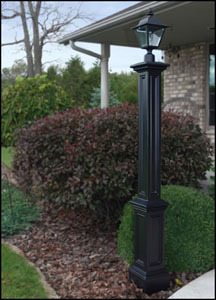 The lamp post is available with an optional aluminum 3" Diameter lamp ground mount pipe sleeve. The lamp pipe sleeve would be set in concrete then the lamp post would be set over the pipe sleeve. 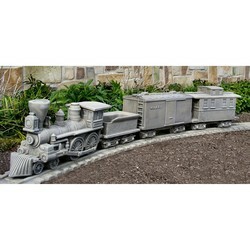 Available Colors: White and Black; please select finish below. The Signature Lamp Post has a 15 year manufacturers warranty. Usually ships in 3 days or less.